When you are trying to stream players to win your head-to-head fantasy basketball matchup, often when your streamer is playing matters as much as who he is. A player with games on Wednesday and Friday doesn't help when you've already got a full lineup worth of players playing on each of those days. However, a player with a game on Thursday would help a lot if the vast majority of your existing players have the day off. Games on mostly "off" days like that are called "quality games." Here we'll feature a few enticing streamer options for players with quality games in Week 2 who are available in the majority of Yahoo! leagues. 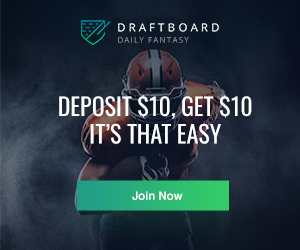 All position eligibility and ownership rates based on Yahoo! fantasy leagues. 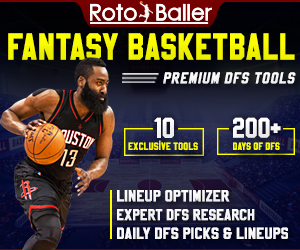 Editor's Note: New users that sign up on FantasyAces, make a $20 deposit, and enter any game will receive our full season NBA (or NFL) Premium Pass for free (includes DFS Cheat Sheets). 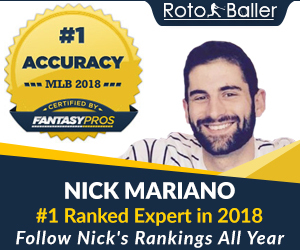 Just email info@rotoballer.com with your new FantasyAces username - and boom, that's it! We will email you with your Premium Pass. Those that have played fantasy hoops in the past are probably familiar with Nick Young; one of the classic microwave players in the modern NBA, Young can get scorching hot at any point in time. We now seem to be at that juncture, as rookie head coach Luke Walton has gotten the inexperienced Lakers squad to a 5-4 record while utilizing Young as his starting shooting guard. The one thing to note with your typical 'microwave' player is to ride them while they're hot, and Young is on pace for a career season shooting the ball at an unusual 46.3% (career average 41.8%). Regardless of whether or not this new Lakers system is causing Young to become ultra efficient, we suggest keeping him on your roster's, as well as riding the hot streak until the wheels fall off. With a cupcake match-up against the Brooklyn Nets on Tuesday, Young needs to be plugged in lineups everywhere. Both teams are currently ranked second, and third in pace, so this will most surely be an up-and-down game with a lot of shots. Young has been connecting on 2.4 three-pointer's per game out of the gate, and given the match-up its not all that unreasonable to assume he could drop a productive scoring line against a middle of the line defensive team (tied for 15th in defensive efficiency). Early results are showing Walton's system has added some efficiency to Young's game, now whether or not that will continue is a question for another day, but against the Nets Young is a good bet to drop a nice scoring line while the game is still competitive. One of my personal favorite under-appreciated players will make for a great stream play this week due to a combination of match-up and injury.Moe Harkless has been the starting small forward for the Portland Trailblazers all season, too bad no one has noticed, with a own rate of only 28% in Yahoo! leagues. The recent injury to starting power forward Al-Farouq Aminu opens up tons of minutes for Harkless at both forward spots for the foreseeable future. Coach Terry Stotts as noted that Aminu will only be re-evaluated in a "couple weeks", so there is plenty of time for Harkless to be a productive fantasy contributor. The other aspect making him an above average streamer is the juicy match-up with the Houston Rockets, who are well known for getting up and down the floor in a hurry. Both teams rank inside the top-12 for offensive efficiency, and are both top-15 teams in pace. All of this screams a high scoring affair, and while Harkless doesn't have the offensive juice to light it up, he is a good bet to get you a three, a steal, and a block per game (averaging 1.4, 0.6, 0.8 respectively) while not killing your field goal percentage (50%). Talent an opportunity are a formula for success in fantasy, and Harkless has heaps of opportunity and with an improving game he should prove to be a productive player this week. For our last selection we will dig a little deeper to find a useful player who is now just starting to get some run on the court. Backup center for the Toronto Raptors Lucas Noguiera has recently seen an uptick in minutes (25.7 vs.career average of 8.6) with a knee injury to starting center Jonas Valanciunas. Even though Valanciunas has already returned from his injury on 11/11 coach Dwayne Casey still opted to give the young big-man 27 minutes to relieve Valanciunas during stretches of the game. We are expecting Valanciunas to be fully healthy going into their Sunday match-up against the Kings, but its likely Noguiera can see minutes in the 25+ range again giventhat the Kings have arguably the best offensive center in all of basketball, and guarding him wont be an easy task. On top of that, Sacramento has a bevy of bigs it likes to throw at opponents with players like Kosta Koufos, Willey Cauley-Stien, and rookie Skal Labissiere all getting 15+ MPG on a nightly basis. Given opportunity Noguiera puts up some impressive numbers, averaging a solid 8.9 RPG, 1.9 SPG, and 2.3 BPG per-36 minutes; I wouldn't wager that he'd get 30 minutes on Sunday, but something around the 20-25 minutes isint totally out of the real of possibility, meaning he should produce some valuable defensive statistics for owners heading into the end of the week needing a boost in those cats. 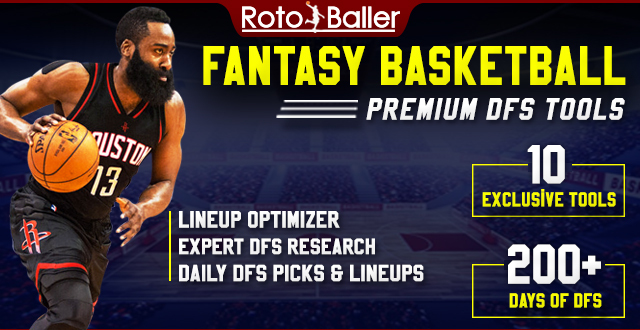 By popular demand, RotoBaller has aggregated all of our fantasy basketball NBA waiver wire pickups into a running list of NBA waiver options, so bookmark the page and check back often for updates.